Robert Lee Morris® jewelry is more than fine accessories, it is truly wearable artwork. 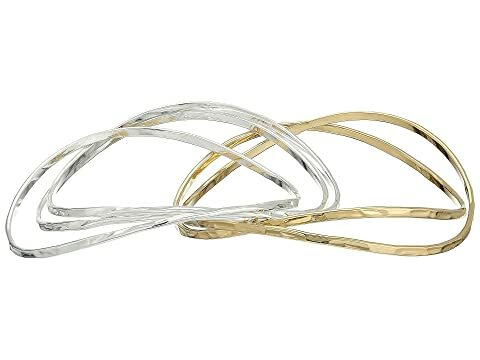 Take these Robert Lee Morris® bracelets out for a spin! Available in a silver and gold-tone finish. Set of five metallic bracelets.